Supplies glandular specific Neonatal Adrenal Complex (bovine) with SOD and catalase, important antioxidant enzymes. 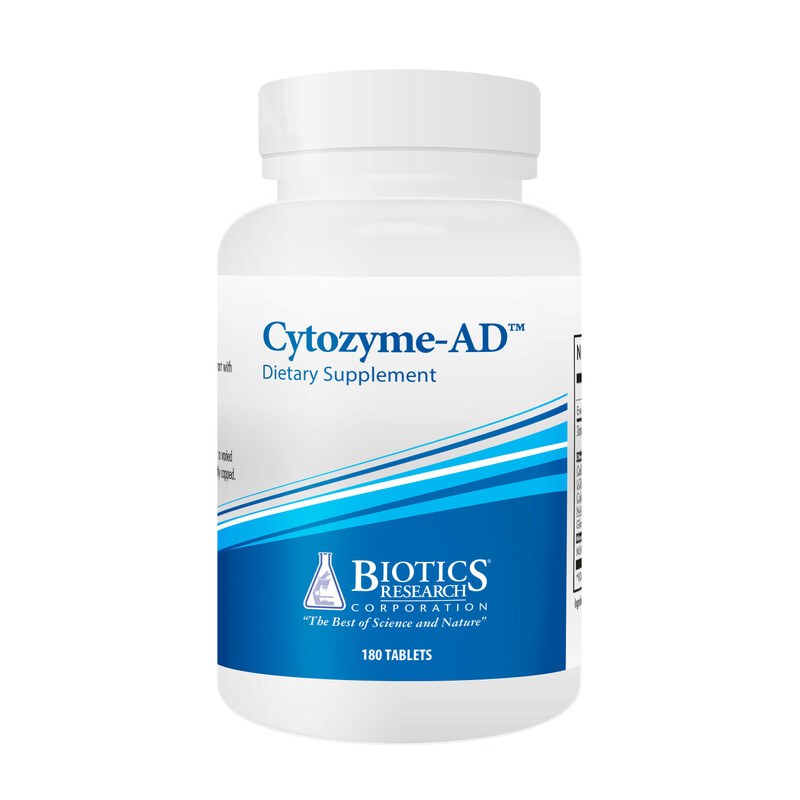 Cytozyme AD supplies whole adrenal gland tissue, supplying 80mg of neonatal complex concentrate per tablet along with Superoxide dismutase and catalase. Use where the need for extra adrenal function has been determined by a healthcare practitioner. One (1) tablet (1) to three (3) times each day as a food supplement. Do not exceed the recommended daily dose. Not be used as a substitute for a varied diet. Ingredients: Pisum sativum Organic Vegetable Culture**, Cellulose, Neonatal Bovine Adrenal, Stearic Acid (vegetable source), Food Glaze, Magnesium Sterate (vegetable source) and Silica. ** Specially grown, biologically active vegetable culture containing naturally associated phytochemicals including polyphenolic compounds with SOD and catalase, dehydrated at low temperature to preserve associated enzyme factors.